We are diesdas.digital, a fairly young design studio based in Berlin. Our company was founded by Harry, Lars, Lorenz and Max in 2015 and since then we have been busy building internet stuff. So busy actually that we quickly needed more hands in design (hello Sharon) and development (hello Nicolás and Santiago). We’re doing quite well so far, building responsive websites, apps and adding a fair bit of strategy, but we want to step up our game, which is why we’re looking to grow the team. We see development and design as two sides of the same coin—you cannot do one without the other, which is why we like to bring developers and designers together on every project. The best ideas usually come from collaboration and all our designers know how to code as well (to varying degrees). Meaning: It’s never an us vs. them or tech vs. design, but a joint effort with everyone being present from the very start of every project. We have two main tech stacks: Node + React for the more custom stuff and Craft CMS/Kirby for out-of-the-box projects, each with Sass or PostCSS for styles. We also worked on Rails and Django applications, so we’re quite flexible when it comes to tech stacks. We don’t believe in slapping the same tech onto every project, but rather look at what makes sense for the given challenges. In terms of workflows we like to keep evolving what we build beyond a first launch, because (as we all know) digital products are never done. So contrary to the usual agency cliché we do care about things like data-driven design, iterating in the wild and learning from people’s feedback. We’re a small, but professional team of seven people with years of experience working on complicated (and sometimes even complex) projects for large clients. That being said, we’re not perfect, which in return also means: we don’t expect you to be perfect. 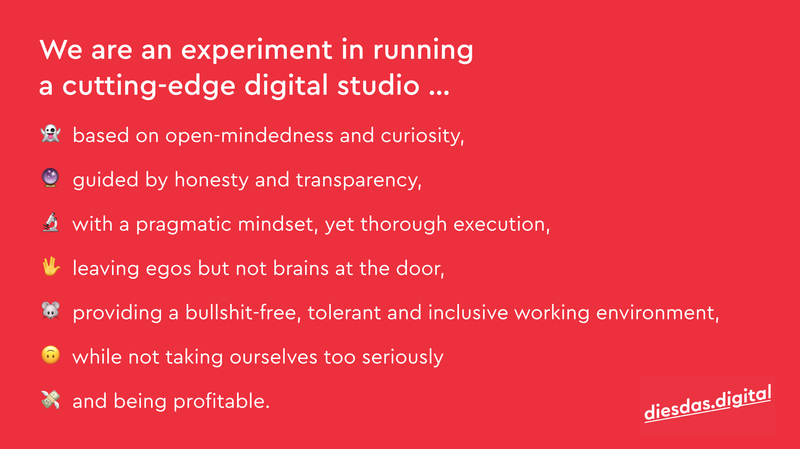 It’d be awesome to learn from each other and collectively get better at what we do; we’re not hunting for “ninjas”, “gurus” or “superhero developers”, instead we’re looking for open-minded people who share our excitement for making digital things and want to grow together. Please note: We’re not exclusively looking for senior people (whatever that even means), but you should be able to work in a self-organised way. In case you’re wondering how much commitment we’re thinking of: can be all in (full-employment, 38h per week) or could be freelancing with us on contained projects. Or start with freelancing and then evolve into something more permanent. We’ll figure something out that works for all of us! How about remote work? Home office? Glad you’re asking and yes, we’re open to that. Full disclosure though, we haven’t worked fully remotely with anyone yet, so there might be a learning curve for us. Our internal communication as well as with clients is mostly based on Slack, so it should be possible and we could try it together. If possible though, it’d be great to see each other in person regularly; home office is of course another story and easily possible. Location would be in Berlin, in our new office in Kreuzberg which we’ll occupy from February on. Salary: We might be a small, self-sustained company without investors, but we believe in fair compensation, because feeling underpaid is not good for morale. Want to know more before contacting us? 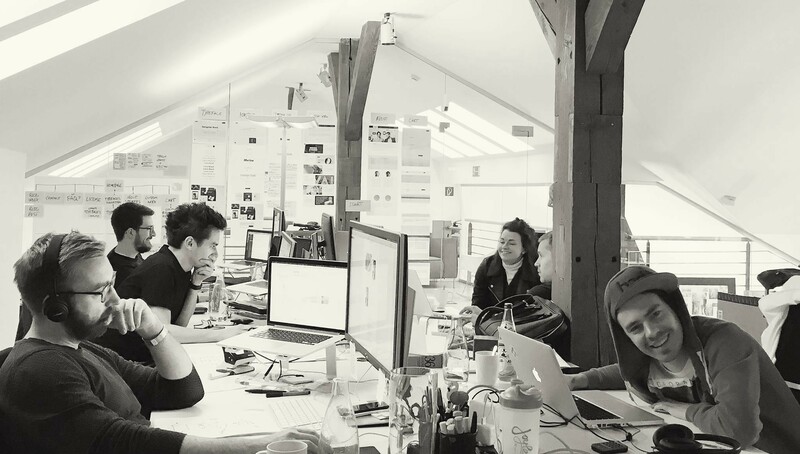 Week 26: Six months ago we founded this new digital agency — a status update. Interested in being part of this adventure? So yeah… reach out! We look forward to hear from you! 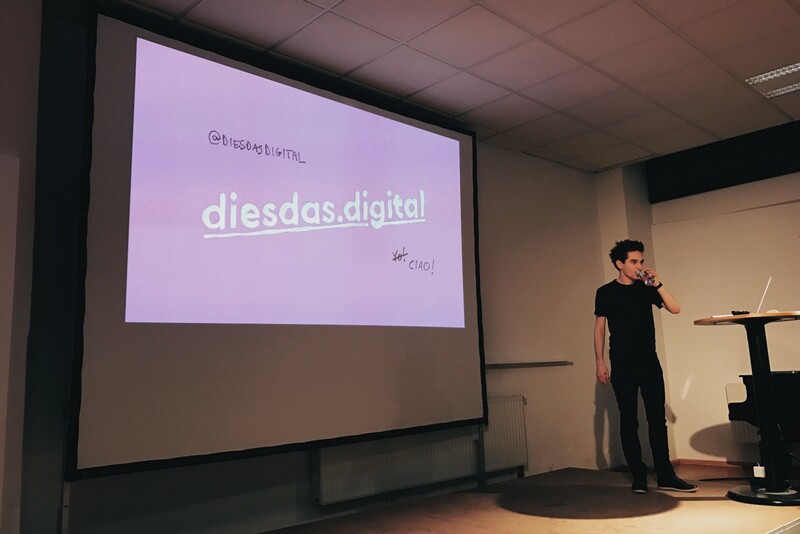 diesdas.digital is a nimble branding and product development studio in Berlin, featuring an interdisciplinary team of seven designers, developers and strategists, each with years of experience in branding, interaction design and programming. We create tailor-made digital solutions with an agile mindset and a smile on our faces. Let’s work together!